made using silicone hydrogel material. This advanced material allows more oxygen to reach you eyes providing a comfortable wearing experience even over long wearing times. In addition, easyvision Uvicia plus lenses benefit from a Class 1 UV filter to provide outstanding UV protection. 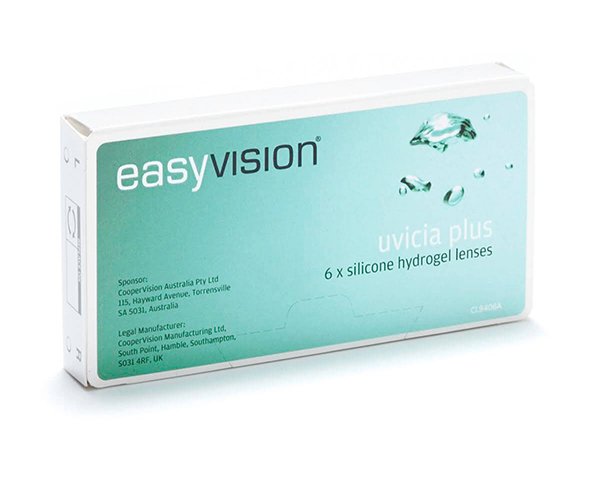 easyvision Uvicia Plus' exceptional ability to stay moist and transmit high levels of oxygen makes for a soft, flexible contact lens and an extremely comfortable wearing experience. Eyes stay clear, white, and healthy-looking through the day.